[Aired on Friday, March 2nd.] Book reviewer Nancy Pearl joins us to talk about the best new books of 2012 and a few overlooked gems from the past couple of years. Pearl is the author of six highly regarded "books about books" in her Book Lust series, and she's embarking as the series editor for "Book Lust Discoveries," which will revive twelve classic, long-out-of-print titles that are worth a fresh read. The series gets underway in April with Merle Miller's "A Gay and Melancholy Sound." • "Soulless" by Gail Carriger (pub by Orbit); The first in a series of five steampunk novels in the Parasol Protectorate series. •"No Mark Upon Her" by Deborah Crombie (pub by William Morrow); The 14th in the evolving series of Scotland Yard procedurals with Supt. Duncan Kinkaid and Det. Inspector Jemma Hardy as they investigate the competitive world of English rowing. • "The Snow Child" by Eowyn Ivey (pub by Reagan Arthur); Based on the fable of the Snow Child, a magic but realistic novel set in 1920 Alaska. •"Defending Jacob" by William Landay (pub by Delacorte Press); A page turning and compulsive legal thriller that tells the story of a DA's son accused of killing a classmate with unexpected, satisfying conclusion. • "Treasure Island!!!" by Sara Levine (pub by Europa Editions); A twenty-something woman examines her hum-drum existence and vows to live by the principles espoused in Robert Louis Stevenson's classic novel. • "Me...Jane" by Patrick McDonnell (pub by Little, Brown); A Caldicott Honor Book and a great introduction for beginning readers to the great naturalist Jane Goodall. •"Best Shot in the West: The Adventures of Nat Love" by Patricia and Frederick McKissack (pub by Chronicle Books); a picture book and graphic novel for young readers that tell the story of African-American cowboy, Nat Love. • "Heft" by Liz Moore (pub by WW Norton); An unlikely pair, a 550 pound former academic who hasn't left his home in a decade, and a 17 year old strapping popular high school athlete with his own demons find common bonds in this compassionate novel. • "Mirage" by Matt Ruff (pub by Harper); An imaginative alternative history that imagines the events and consequences of 9/11 reversed with Christian extremists attacking Muslim and Arab world institutions. • "The Invisible Ones" by Stef Penney (pub by Putnam); A private investigator hired to find the wife of a charismatic son of a Romany clan, tries to reconstruct the events that led to his hospitalization. • "Among Others" by Jo Walton (pub by Tor Books); This Hugo Award science fiction nominee re-imagines the boarding school witchcraft genre. • "Why Be Happy When You Could Be Normal?" by Jeannette Winterson (pub by Grove Press) An impressive memoir by this noted writer that tells the story of her adopted childhood to Pentecostal parents and their reaction to her sexual orientation. Tulsa, OK – A book is a gift that one can open again and again, as the old saying goes. On today's StudioTulsa, just in time for the holidays, we check in with Nancy Pearl, our longtime book reviewer, in order to collect some can't-miss, page-turning, worth-reading suggestions for gift-giving --- and for list-making! Here (as listed below) are the titles and authors that Nancy spoke of on our program today, as well as a few more of her recommendations (which we didn't have time for). 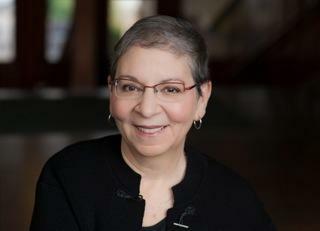 Nancy Pearl, Our Beloved Book Expert, Offers Some Summer Reading Suggestions (see list below).